Not that this wasn’t a compelling demonstration, but I think that the aviators might have been more reassured if his son, Tubs Brodwick had tested it instead. 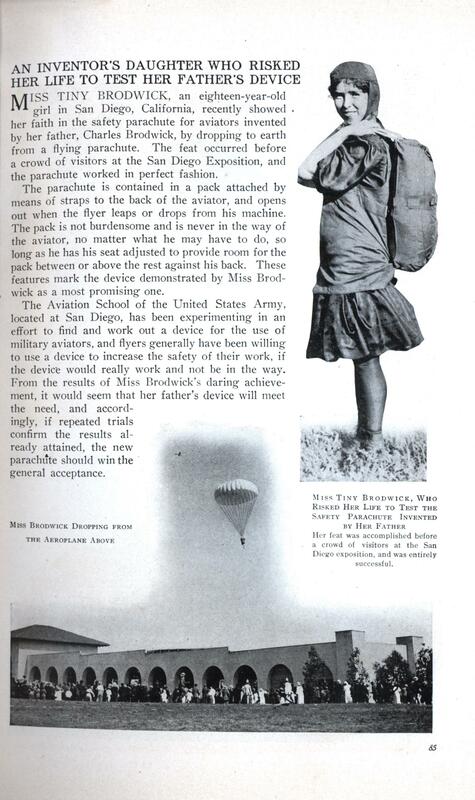 MISS TINY BRODWICK, an eighteen-year-old girl in San Diego, California, recently showed her faith in the safety parachute for aviators invented by her father, Charles Brodwick, by dropping to earth from a flying parachute. 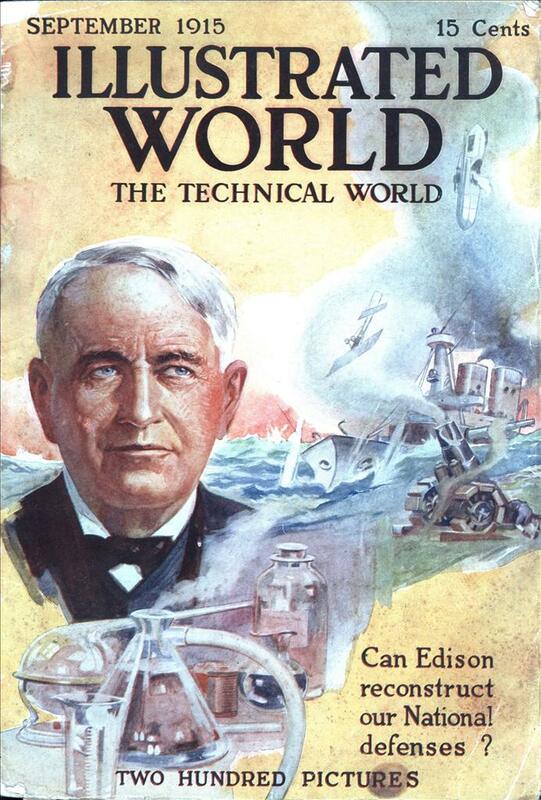 The feat occurred before a crowd of visitors at the San Diego Exposition, and the parachute worked in perfect fashion. The parachute is contained in a pack attached by means of straps to the back of the aviator, and opens out when the flyer leaps or drops from his machine. The pack is not burdensome and is never in the way of the aviator, no matter what he may have to do, so long as he has his seat adjusted to provide room for the pack between or above the rest against his back. These features mark the device demonstrated by Miss Brodwick as a most promising one. The Aviation School of the United States Army, located at San Diego, has been experimenting in an effort to find and work out a device for the use of military aviators, and flyers generally have been willing to use a device to increase the safety of their work, if the device would really work and not be in the way. From the results of Miss Brodwick’s daring achievement, it would seem that her father’s device will meet the need, and accordingly, if repeated trials confirm the results already attained, the new parachute should win the general acceptance.